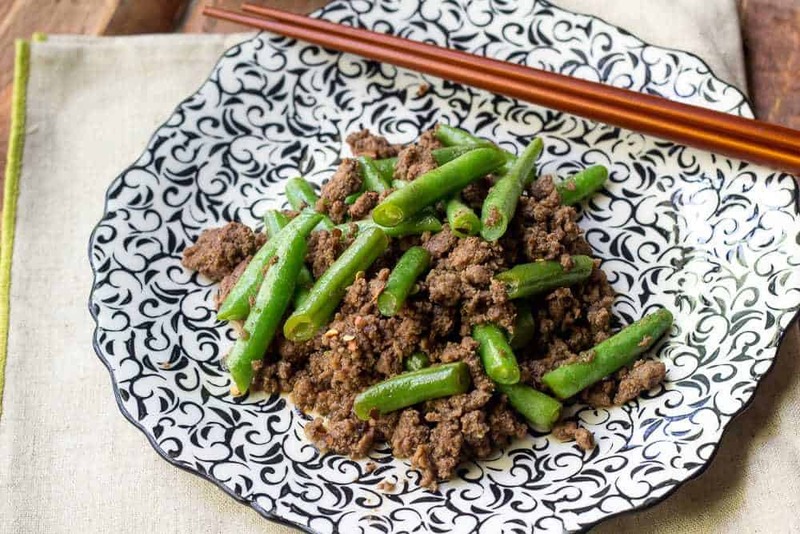 Beef and green bean stir fry is ready for the table in just minutes. Your family will gobble it up! Try it with broccoli or snow peas instead of green beans if they’re more your family’s style. My older son is now on a club soccer team, which means longer, more frequent practices. These practices happen during the dinner hour, of course, so twice a week we scramble to eat something quickly before practice and then scramble to eat something before bedtime after practice. He’s still pretty young, so I don’t want to fall back onto fast food this quickly in the game. 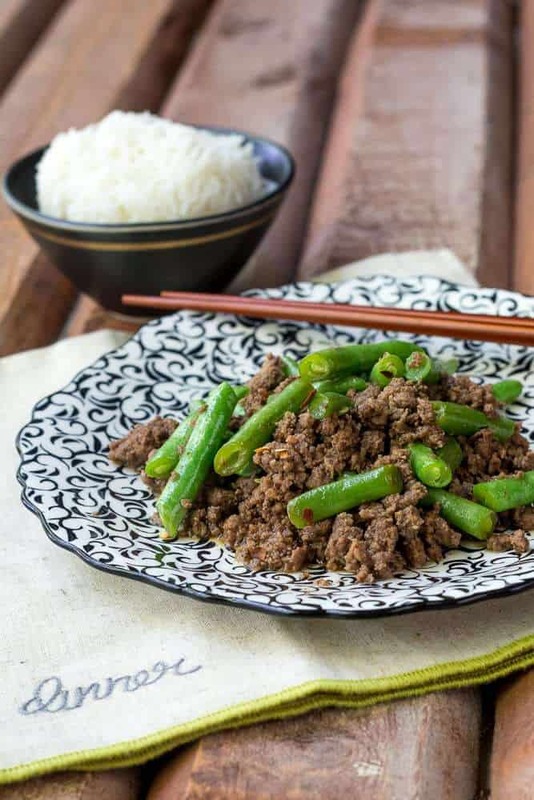 This beef and green bean stir fry is a family favorite, and I honestly don’t know why I never thought of blogging about it until now. Ground beef and green beans are the perfect combination for a quick weeknight dinner. 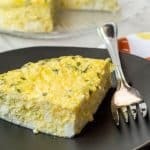 They are both staple ingredients in many households, they cook quickly and they are super versatile. Putting them together in one dish just makes good sense. Although my younger son avoids green beans, the rest of us love ’em, so we tend to make short work of this dish. Try broccoli instead of green beans if your kid is anti-legume as well. Sugar snap peas or snow peas would also be delicious. 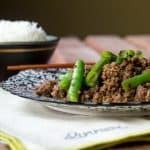 I think many of us tend to use ground beef only in other applications like the standard chili or meatloaf recipes, but ground beef is great in stir fries as well. 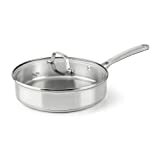 It cooks up quickly and is suitable for a wide variety of spices and flavors. For this Ground Beef Stir Fry, I kept the flavor profile simple with ginger, garlic, soy sauce, and honey. The honey doesn’t make the dish sweet; it just helps to balance the flavors. You can also add red chile flakes if you want to make this spicy. I served the chile on the side so my husband and I could add as much as we wanted but the kids’ dishes were mild. I like to keep garlic and ginger on hand at all times, but it’s a bit of feast or famine for us — either we use it all immediately, or I forget we have it and they wither away. I used Gourmet Garden’s stir-in pastes for this Ground Beef Stir Fry to help with this issue. If you use whole ginger or garlic, make sure to chop them with some salt to help get the consistency a bit finer and extract some of the natural juices. 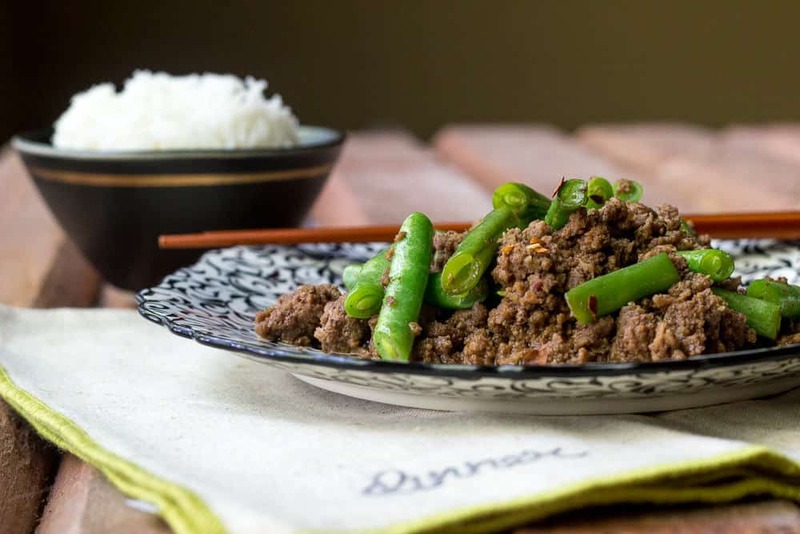 Serve Ground Beef Stir Fry with steamed rice, of course. Our favorite is basmati, which is an aromatic long-grain rice. It’s not traditional to stir fries, but we prefer the flavor and texture. 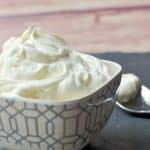 If you happen to prefer jasmine rice and have an Instant Pot, my friend Rachel has some great tips for cooking Instant Pot Jasmine Rice. Talk about making an easy dinner even easier! For more quick and easy weeknight dinners, try Bison One-Pot Dinner, Beer-Glazed Sausage with Brussels Sprouts and Apples, or Baked Bison Meatballs. In a large saute pan over medium heat, cook the ground beef until almost completely browned, breaking up the chunks as it cooks. Stir in the green beans, garlic, and ginger and cook for about 5 minutes, until beans are bright green and crisp-tender. Stir in soy sauce and honey. Add chile flakes, if using. Taste, and adjust seasonings as necessary. Fantastic! 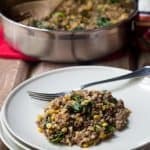 I skipped the rice (carbs) and still this is a great recipe. Thanks.